I was teaching a PGA Tour professional the other day and while we were hitting drivers on the Trackman, I sprayed the face with Dr. Sholl’s Odor X in efforts to see the impact point on the club face. Just as I was doing this another student came into the learning center and asked me a question and while I was answering, the Tour pro continued to hit balls — around 10 or so until we could resume our work. Now that we could focus our efforts again, I wanted to reapply the spray to the face so that I could focus on his impact location. After 10-or-more shots, the impact location was VERY consistent and it led me to thinking… What did other handicap level impacts look like after just five shots? So what does this all mean from an observation standpoint? The higher the handicap, the more random the impact location in general. Radical horizontal off-center impact locations invoke gear effect, making shot curvature prediction impossible. Extreme vertical off-center impact locations cause excessively high and excessively low spin rates, making driver distance vary dramatically. Higher-handicap players tend to have swing plane issues, causing impact to be too high toward the crown of the club, leading to a the pop-up. 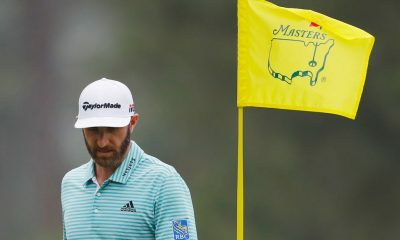 Mid-handicap players tend to have pivot issues that cause them to hit too much up on the ball, thus hitting shots that are topped, flat, or very low. 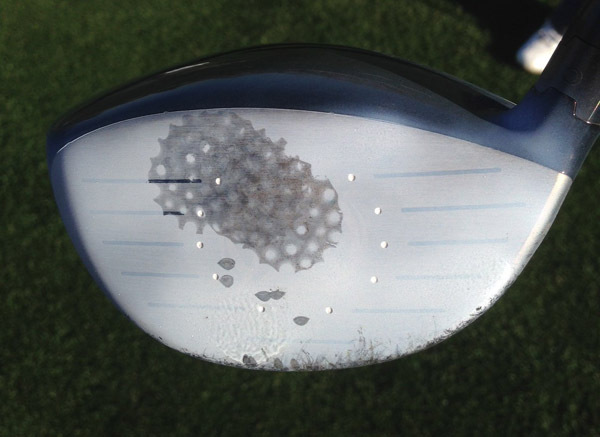 As handicap levels go down, players tend to find the center of the face more often. As mid-handicap players move down to into the lower-teen handicap levels there tends to be a consistent impact location toward the toe or heel. At the single-digit handicap levels, centered impact isn’t that big of a problem and gear effect is very minimal. 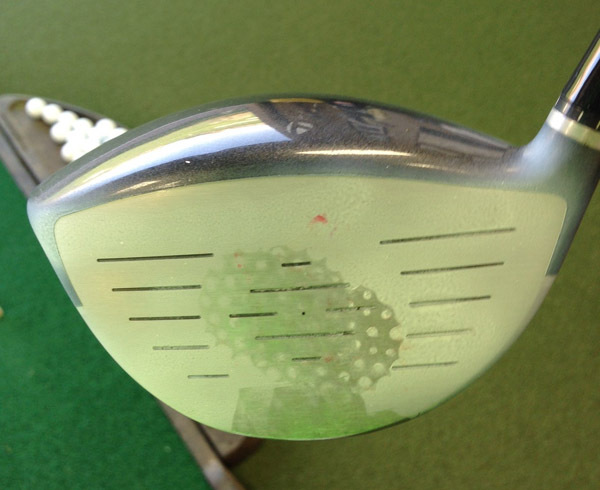 As the handicap lowers closer to zero, vertical impact location becomes increasingly important. Tour players can easily control their vertical impact location to launch the ball with more or less spin depending on what type of shot they desire. I’m looking for this exact same data but for irons. Do you know if it exists? 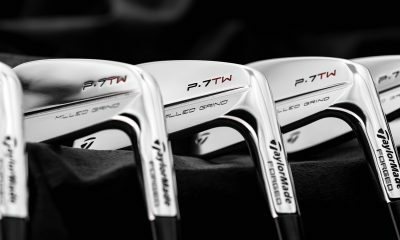 If not, can you do the same thing with a mid/high iron? Pingback: Impact tape ?? ????? ???. | ?? ?? If I apply the Dr. Scholls with a Left to Right Stroke will it make my Slice disappear or make it worse? Dr scholl’s works better than impact tape which tends to skew the spin numbers and spin axis. Finally a 70º day to try out the Dr. Scholls spray on the range. Thanks for the tip Tom. The stuff works like a charm providing me with accuracy feedback and is infinitely better than tape labels. Dr. Scholl’s better start making more of that spray because I think a lot more amateurs will be buying it up this season. Interestingly for me the majority of my impact locations are just to the toe side of center albeit not nearly as tight as the Tour Pro. Thank the early TrackMan guys for the dr scholl’s idea…just following their lead. Tom, I have a big problem : shank wedges. I hit driver well, 8-9 fairway s, mid- and long irons good, but repeatedly hit 45* right off the hosel with wedges. My hc went from 10 to 13.4. Very frustrating to bomb a good drive, pull out wedge and blast a hoselrocket off into the bushes! At the range, I tried gate drill with 2 tees, blasted toe tee off 20 yds. Slow swing, no good. Lined up with ball at toe, tried to hit toe, got dead center. Don’t know what to try next. Please help. Tom, thanks. I think I was falling forward towards the ball on my downswing. I concentrated on keeping my weight over my arches, and tried to make the wedge swing much more upright. Last 2 rounds were almost shank free. I slowed down my swing all around, but kept a full shoulder turn, trying to ensure a smooth release hitting the ball in the center of the club. Making solid contact as long as I don’t rush myself. Much happier! The other main cause of shanks with the short clubs is the tendency to move your body too far forward on the downswing. This leads to the club running out of room and the hosel is all that is left to hit the ball. Stay behind the ball on all shots and that will go away. I found my old steel shafted Maxfli Tour Ltd driver at my parents house over Christmas. Looking at the size of the face to these modern 460 heads some of these strikes might have been air shots or certainly off the end of the club head. 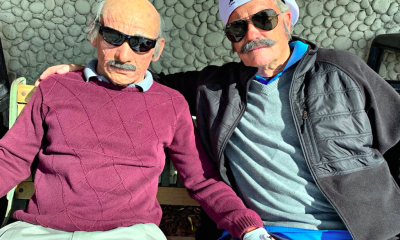 I personally think my overall game has suffered since the introduction of these clubs with massive heads and overly long shafts. I used to be a pretty good ball striker (3 – 4 hcp 20 years ago) and would typically hit 10 – 12 fairways, 12 – 14 greens and shoot 72 – 75, par 71. I was never a good putter, always 34 – 36 putts per round. 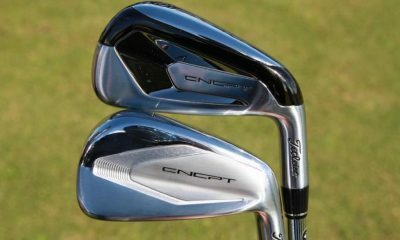 My long iron play was particularly good back in the time of wooden headed clubs when I could only hit a 3 iron 180 yds. These days that’s a 6 or 7 for some people and I really think my game has suffered as a result of using new technology. I’d be tempted to try my old War Bird steel driver or an older titleist, back when a Tiger used to hit it well and long, and see what the results are like. Does hitting the ball higher on the face cause more spin and lower on the face cause less spin? Or it the inverse? Wondering if you have you ever done or thought of something similar for irons? Would be interested to see what other factors could also influence impact position on irons given the sole comes in contact with the ground and what effects ill-fitted lie angle could have as well as other factors. Maybe that’s a project for another day. The pro’s impact makes me sad and angry. I feel your pain…knocked my socks off as well! Fantastic article Mr.Stickney! Really opens my eyes to how good the pro’s really are.. 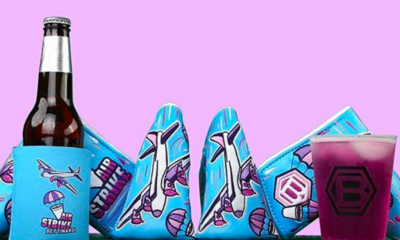 Does Dr. Scholls work with putters too or is there something better for that? Bought a can this morning to take to the range. I may just figure out the driver problem after all..
I’m an 18hc, so, ya know…. But, I just got over this literally in the past couple days, “turned” out to be that I was fake-turning. I was rotating my shoulders just fine, but not my torso. The drill (there are diff variations) that cured me was to move my back foot so that my toe was in line with my front foot heel. Gave me a pre-turn in my torso and helped me get the feeling back during my normal swing. I think my issue came from trying to make sure my shoulders made a complete turn and at some point I stopped turning my torso too. Thanks I’ll try that. It was horrible. just didn’t feel comfortable swinging the club anymore. If you have had that type of turnaround within your game I would suggest finding a teaching pro in your area ASAP. Too many things it could be without seeing you but if you’ve list that kind if distance you might want to see someone. What would be the one characteristic of the golf swing that you would attribute to consistently finding the center of the face? Great balance throughout the entire swing perhaps? High handicaps tend to have terrible balance which would explain the sporadic ball contact locations on the face. Would you speculate that if a high handicap were to swing in perfect balance on every shot regardless of swing path they would consistently hit the same spot on the face? I tried this out yesterday on the range. Works perfect. Only downside is that yellow can of footspray sitting next to the range mat that every other golfer seems to want to stare at. 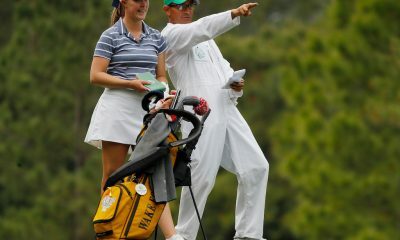 That, and the voice coming from my pocket that exclaims, “Golf Sense device is now connected!? Any suggestions on how to ‘tighten up’ your dispersion? Shorter shaft? Slow the swing down until you can consistently hit the middle and then add speed as you improve? Since you said all the drivers are 44″ long, would you consider doing a similar test but with different length drivers. 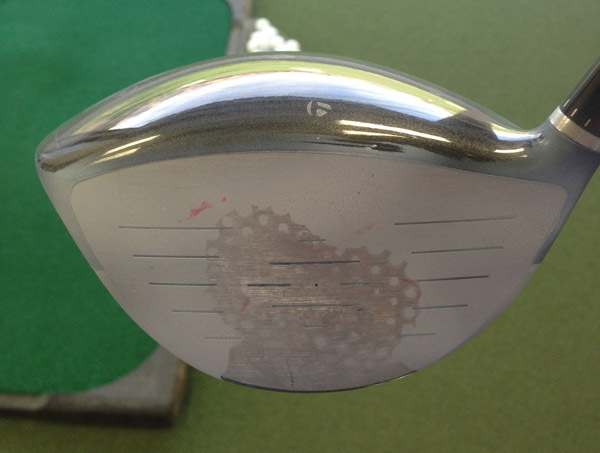 I would be interested to see how much impact is affected for the lower handicaps when the length is increased. 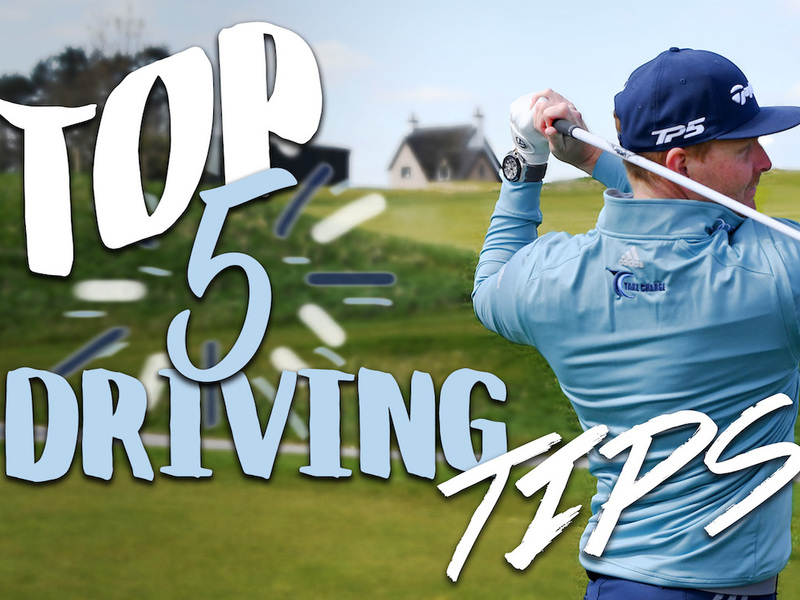 The shorter the driver the more control…for sure. I know shorter provides more control, but how much control is actually lost by going longer. Any time you add length to a club you will swing it faster, but at what point will adding length be comprised to loss off control. Is it .5″,1″, or something longer than that. Everyone just guesses how much control is lost and no one has ever really looked at what the actual amount is. 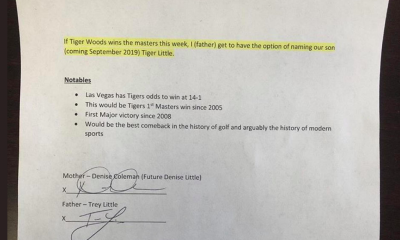 Problem here was that it was a TMaG golf club, not the player. In all seriousness though, why is the tour pro hitting it lower on the face? It should be higher up on the face than that. Creates a shot that launches too low and spins too much. Yep. What he’s currently working on! Tell him to tee it up 1/4″ higher and use the same swing. That’ll be 100 bucks, thank you. Does it work with normal spray? 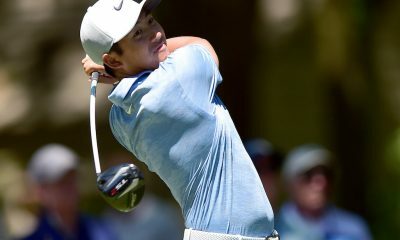 I believe the lower marking on the Pro’s image is in fact his tee! good story, mate. 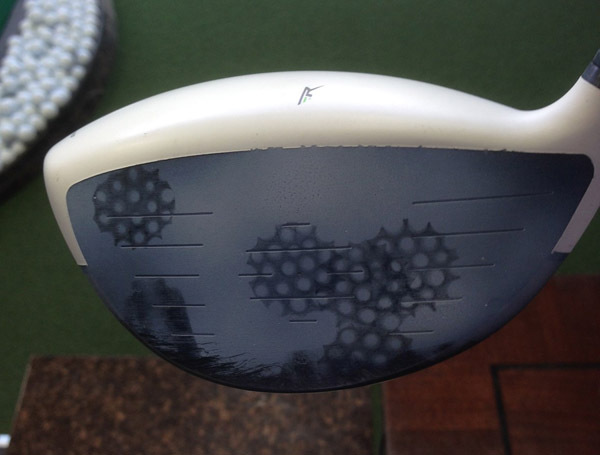 It seems my driver’s sweetspot is far from wearing. Welcome to my world…sadly we are not alone. This article makes me feel like a freak. I’m a 20 handicap who hits the sweet spot like a 5. Hit 13/14 fairways today, shot 95 cause I hit some second shots into the drink on a tight water course. I use the marker. We all have our strengths…fix that second shot and you will be a five! 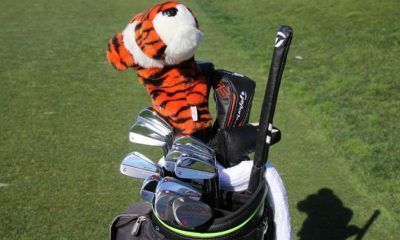 In this most recent tourney Tiger only landed on the fairway 4 times with his driver in 1 round. Do you think he was hitting the center of the club face every time but the face angle was off? Apparently hitting a centered shot doesn’t guarantee a straight shot. All depends on his face to path relationship with a centered hit. Is there anything I might already have around the house that I could spray onto my clubfaces? With the recent article on shorter length drivers, did you happen to measure the club length of the players drivers? For readers in the UK where you don’t get the Dr Sholl Odor X spray: I am using an athletes foot powder spray. Works just as well. Another good trick is to use a marker from a dry erase/white board (make sure it is a dry erase marker, not a permanent marker). 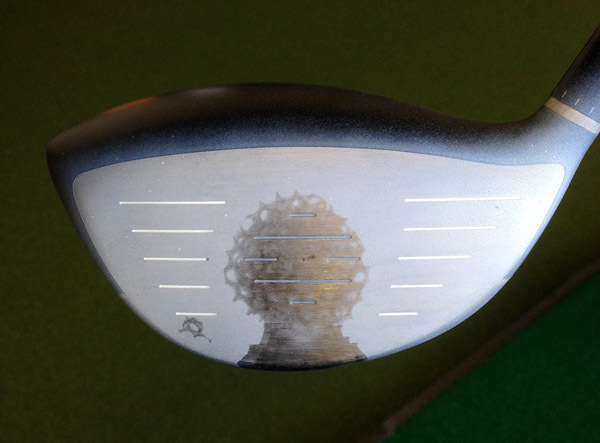 You can color the face of your club, and when you make a swing, it will capture your impact position. When you are done, it just wipes off. Might be a little more convenient that carrying around a can of spray. 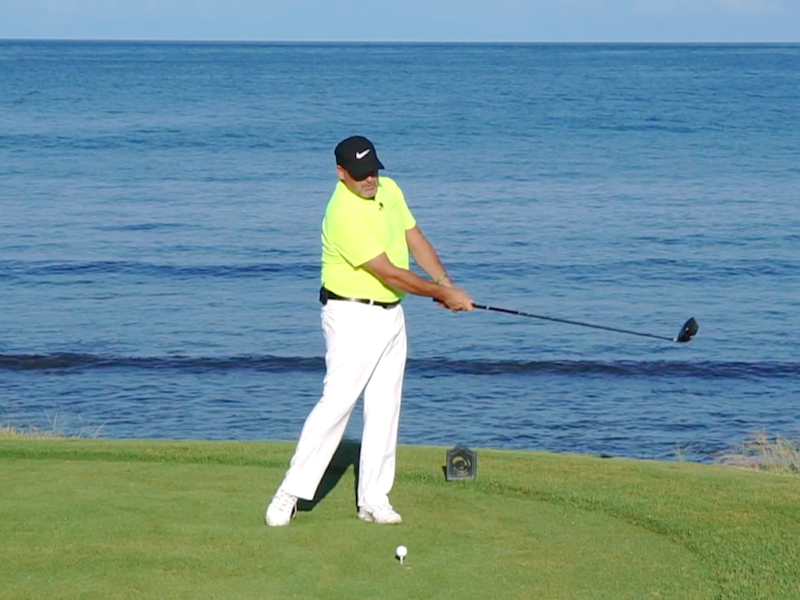 No matter how you do it, this is a great way to improve your ball striking. 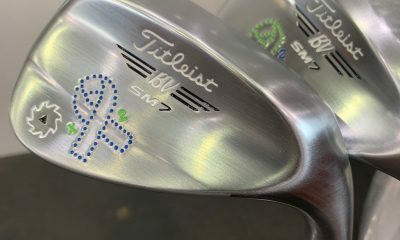 Good call; tell your golf buddies to use a sharpie! Ha! NOT a Sharpie, doofus! With a Sharpie you’d need acetone. With a dry-erase, all you have to do is wipe. Golf Digest did a similar thing with putters and impact tape way back in the day – if anyone remembers it or has the article, would love to see it again! 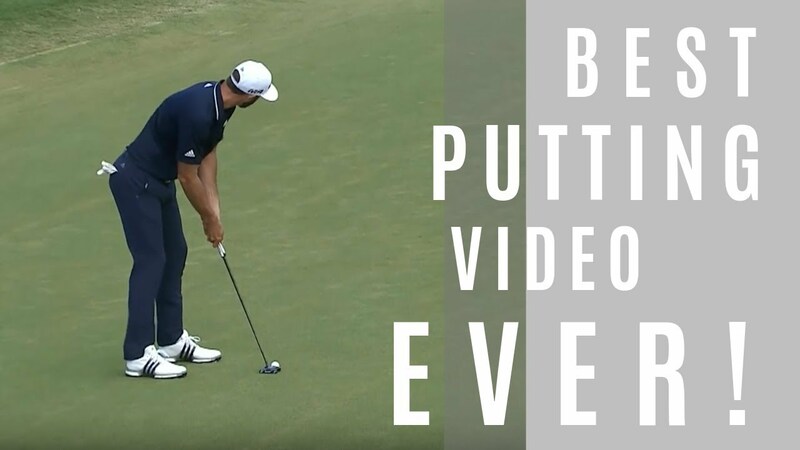 For the best putters on tour, the spot was the size of a thumbtack. Yes that’s what it was! Thanks! I put some tape on a putter once and hit balls. I was shocked. As a 12 handicap I had 28 balls in a spot the size of a dime (better then i expected) and two that missed center by 1″ (oops). But it was great feedback. to add/lessen spin as desired. Could you expand on this please!Much appreciated! I use impact tape or marker pen on balls regularly and play shorter lengths to get Good Impact! 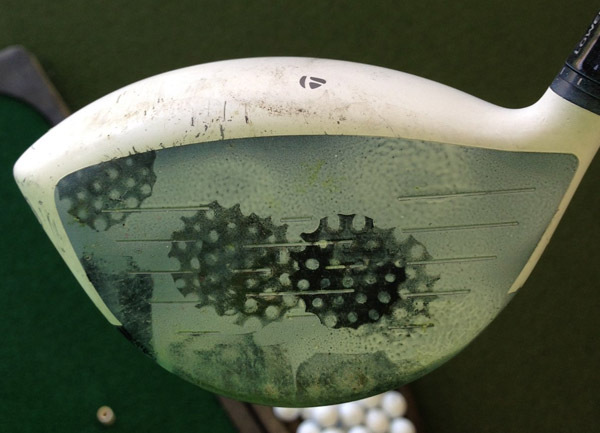 This is a little counter intuitive but hitting higher on the face means ball hits above the COG which causes the face to “roll back” and the gearing effect of this is to reduce the backspin on the ball. Hitting lower does the opposite. This ignores the effect of bulge / roll. Watch the Trackman Maestro on youtube (look for gear effect) he does a better job explaining. All else equal, tee higher = lower backspin, tee lower = higher backspin. Once you understand gear effect you’ll see why. Because of the face design from top to bottom…impact should be higher in the face to give you higher launch with less spin. Most players hit it below the center-line of the club thus gaining extra spin. 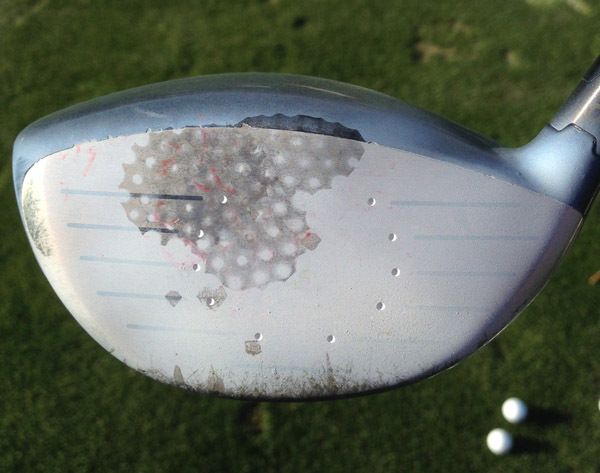 actually i think (though i could be wrong) that most clubs are truly designed to be hit on the actual sweetspot, which is typically in the center of the face. it usually gives the highest ball speeds. impact should only be higher on the face if you need higher launch with less spin. 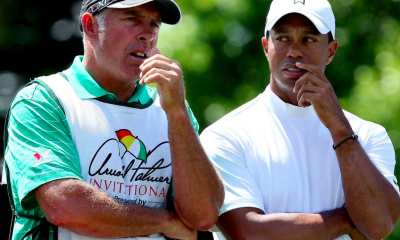 not all players need these specific changes, especially tour players. tour players need a balance of launch and spin to maximize not just distance, but accuracy as well. 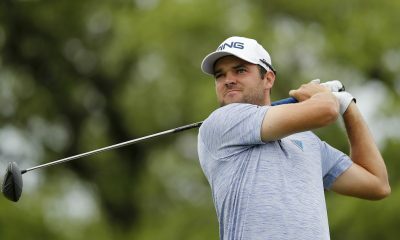 tour players typically require a higher spin rate than amateurs of the same swing speed in order to keep the ball in play more on the typically firmer fairways on tour. Thanks for a very intresting article. I always wonder how certain handicaps hit with their driver off the face. And Great idea with the Dr. Scholls spray. Does this just wipe off when you’re done? If so, brilliant! 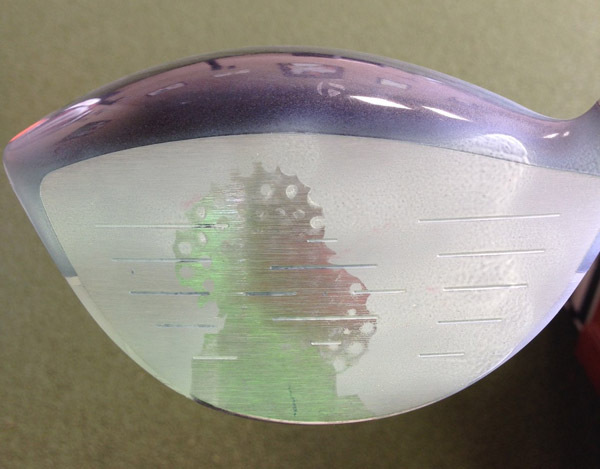 Interesting, yet I have read many articles on GolfWRX that have talked about the sweet spot on most drivers being higher towards the outside of the face. So …not really hitting the sweet or hotspot…?? Great article. Also, I can’t wait to try the Dr.Scholls spray to check my impact point. Thanks! THANK ALL OF YOU FOR YOUR WONDERFUL COMMENTS REGARDING THIS ARTICLE!! 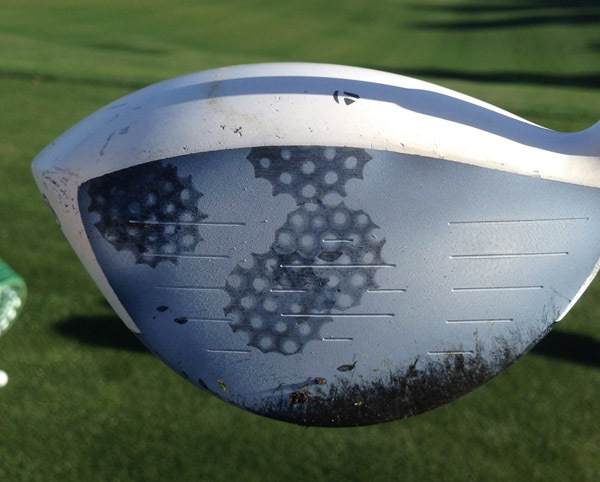 I HAVE RECEIVED A TON OF TEXTS, EMAILS, AND TWEETS…..
My impact zone is so much better with deep face drivers, but sprayed all over the place with shallow face? Please idea? Well im in the 0 handicap category but mostly leave my clubface open or close, great post. thank you. By the far the most valuable piece I got from this was the dr. scholls spray instead tape to mark impacts. I’m getting a can! Same here. I’m wondering if that works on irons as well. Note to self: Hit the driver more accurately to break into the 10 handicap range, and also buy a can of dr. scholls odor x.